PhD project title: Self-affirmations, wellbeing and patient safety perceptions in nursing staff: How effective are self-affirmation interventions for improving levels of wellbeing amongst nurses? 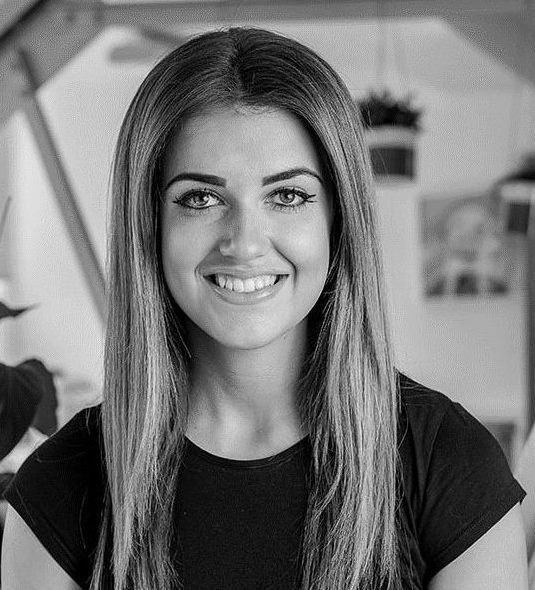 Alice graduated from the University of Leeds with a BSc (Hons) in Psychology in 2017. During her degree she undertook a placement with the YQSR Group as an honorary research assistant, during this time she developed an interest in patient safety. She is currently undertaking a PhD, funded by NIHR CLAHRC Yorkshire and Humber and the University of Leeds. The project aims to establish the feasibility and effectiveness of using a self-affirmation intervention with nursing staff to help improve levels of wellbeing and patient safety. The intervention involves manipulations which affirm the self and aims to address the way individuals respond to threat. Self-affirmation interventions have been used in research previously to help improve levels of wellbeing, but have yet to be implemented for this purpose with nurses. Alice is broadly interested in the wellbeing of healthcare professionals, including the implications of poorer wellbeing i.e. patient safety, and looking at methods to support this. PhD project title: How do staff use and respond to patient feedback to inform improvements to the quality and safety of care in a hospital setting? 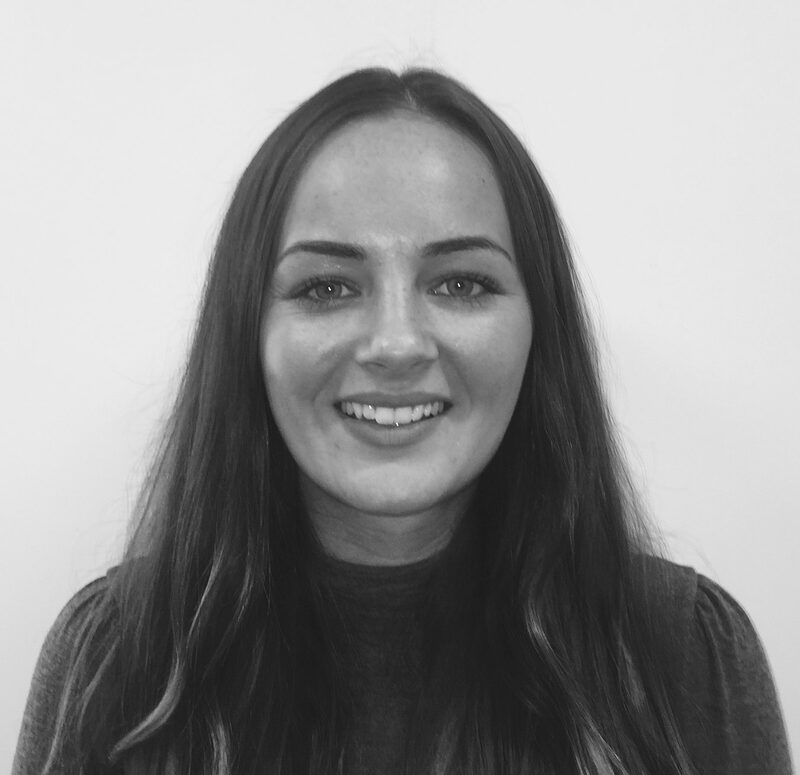 Lauren has a background in Psychology, graduating from the University of Leeds with a BSc (Hons). 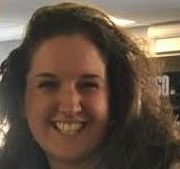 Lauren is currently studying for a PhD with the University of Leeds and Bradford Institute for Health Research funded by the NIHR Yorkshire and Humber Patient Safety Translational Research Centre under the research theme Patient Involvement in Patient Safety. Prior to beginning her PhD, Lauren spent a year working with the team at Bradford Institute for Health Research assisting in various projects aiming to improve the quality and safety of care in the NHS. She also worked as a research assistant on a European Randomised Controlled Trial (RCT) at The University of Leeds, and at Inhealthcare helping to develop digital health solution for the NHS. Lauren is completing a PhD which is focused on understanding how staff use and respond to patient feedback to inform improvements to the quality and safety of care in a hospital setting. NHS policy and guidance highlights the important and unique perspective of patients, and the potential value of their feedback in informing improvements to care. In light of this, the healthcare service is increasingly collecting feedback from patients, with collection often being mandated across many aspects of care. Despite this, recent research suggests that there is not enough being done with patient feedback to use it to inform meaningful change. Based on the findings from a systematic literature review Lauren completed, the PhD adopts an exploratory approach to focus more specifically on patient-initiated online feedback, how this is responded to and how it is used in practice to inform improvement. Lauren has a general research interest in the quality and safety of care in the NHS. More specifically, Lauren is interested in how both digital health technologies and patient involvement in patient care can help to alleviate pressures on the NHS, and improve the quality and safety of care for both patients and staff. Lauren also has a particular interest in how qualitative methodological approaches can help to answer key research questions in this area. Johnson, J., Panagioti, M., Bass, J., Ramsey, L., & Harrison, R. (2016). Resilience to emotional distress in response to failure, error or mistakes: A systematic review. Clinical psychology review. PhD project title: To develop a communication training intervention to improve the practice of adverse event disclosure to patients in UK maternity services. 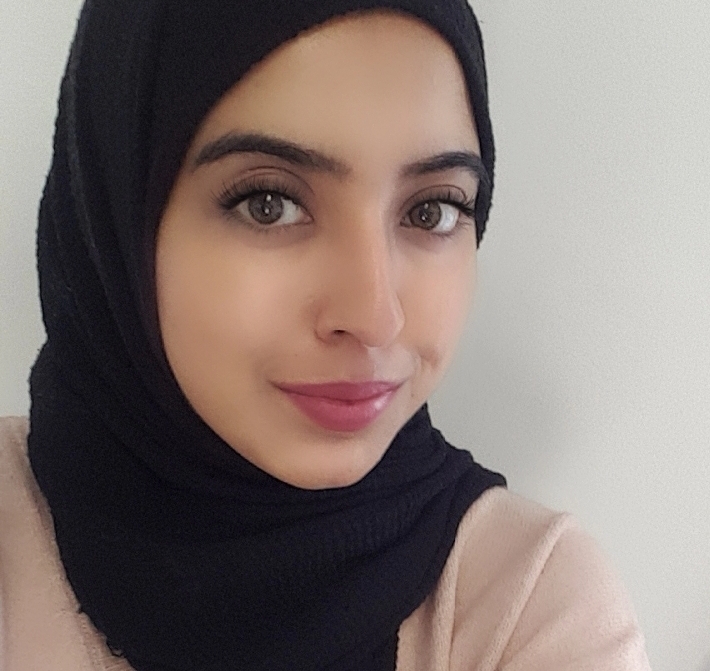 Raabia graduated from the University of Bradford with a BSc (Hons) in Psychology in 2015. She went on to study an MSc in Psychological approaches to Health at the University of Leeds (2016). Raabia is currently undertaking a PhD, funded by NIHR CLAHRC Yorkshire and Humber and the University of Leeds. Raabia is completing a PhD which focuses on supporting healthcare professionals with the disclosure of adverse events to patients. The Duty of Candour regulation which was introduced within the UK in 2015 states that every healthcare professional has a professional responsibility to be open and honest with patients when something that goes wrong with their treatment or care. Despite these policy advancements and implementation around open disclosure, there is currently limited training available for healthcare professionals on disclosure. This project involves developing and assessing the feasibility and acceptability of a communication intervention to support maternity healthcare professionals with this disclosure process. 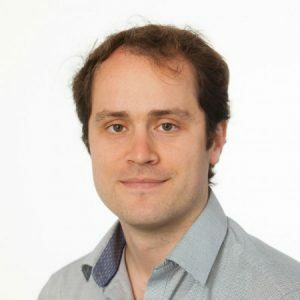 Raabia has a general interest in improving the quality and safety of care within the NHS, with a specific focus on improving the delivery of service to patients and enhancing the wellbeing of healthcare professionals. PhD project title: Evaluating video-reflexive ethnography as a tool for improving teamwork and communication in acute maternity handover. Siobhan graduated from the University of Cambridge with a BA (Hons) in Natural Science in 2005, and then from the University of Durham with a BSc (Hons) in Psychology in 2007. She completed a Masters in Psychology, graduating from the University of Northumbria in Newcastle in 2009. 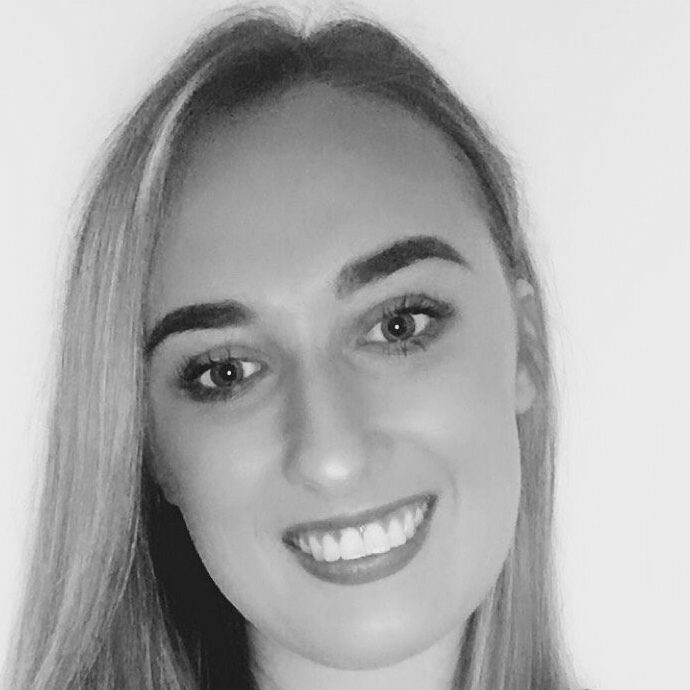 Following her degree, Siobhan worked as a research assistant on a number of projects encompassing various areas of health psychology, primarily the use of patient reported outcome measures following surgical and medical interventions. She is currently undertaking a PhD funded by NIHR CLAHRC Yorkshire and Humber and the University of Leeds. Siobhan will evaluate the process of video-reflexive ethnography to determine whether this can be used to improve elements of teamwork and communication in high-risk multi-disciplinary healthcare teams. The research will focus on multi-disciplinary handovers in UK maternity units. The project will consider elements of feasibility and acceptability of video-reflexive ethnography in healthcare staff, as well as the sustainability of any improvements. Video-reflexive ethnography; multi-disciplinary handover; teamwork; communication; patient safety; quality improvement; qualitative methods; human factors research. PhD project title: Producing effective and achievable safety strategies from adverse event investigations in healthcare. I have been a trainee doctor in North Yorkshire since 2012, currently working at York Teaching Hospital NHS Foundation Trust. I have had a growing interest in patient safety and healthcare improvement/quality improvement (QI) science. Having undertaken many QI projects I completed the Institute for Healthcare Improvement (IHI) Improvement Coach Program in Boston in 2016. I am an Improvement Fellow with the Improvement Academy and member of Q (The Health Foundation). I am interested in all areas of patient safety and healthcare improvement, and particularly in building capacity and capability in frontline healthcare staff. I have developed training programmes for junior doctors and other frontline staff/teams (mutli-disciplinary). I am an honorary lecturer for the Hull York Medical School, teaching 3rd and 5th year medical students (Bedside/Seminar/Simulation). I am interested in how we respond to errors and adverse events within healthcare; when and how we should investigate, how we decide what to do with the findings of an investigation and how we design, test and implement changes. My PhD is about how we produce more effective safety strategies from adverse incident investigation, but also more broadly how we respond to the findings of investigations. Patient Safety; Quality Improvement in Healthcare; Human Factors. PhD project title: A study exploring the experience of patients and their carers / families who make complaints about their acute mental health inpatient care. Mary is an experienced social worker of 20 years, operating as an Approved Social Worker (ASW) and then Approved Mental Health Professional (AMHP) under the Mental Health Act. Mary is also a Best Interest Assessor (BIA) under the Mental Capacity Act and has held various roles including senior social worker, service manager, Lead AMHP and Head of Adult Social Care. Mary is also a Specialist Advisor (SpA) for the Care Quality Commission, taking part in various regulation visits and projects to support performance and delivery of mental health services nationally. 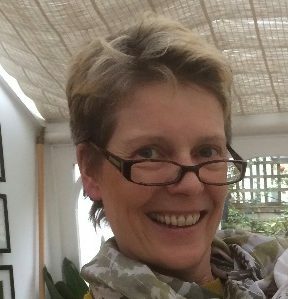 Mary completed her Masters in Advanced Interventions in Mental Health during 2011, studying the role and purpose of family intervention and education programmes for families and people experiencing psychosis. Mary is currently undertaking a PhD, funded by the NIHR Yorkshire and Humber Patient Safety Translational Research Centre and the University of Leeds with a contribution from Leeds and York Partnership Foundation Trust. The project aims to understand from a service user / family perspective how feedback about mental health inpatient care is received, how complaints are responded to and whether services are learning any lessons from the data that they routinely collect / have access to. What is the evidence telling us about people’s experiences in mental health in-patient settings? Locally and nationally – what are people telling us and how are they responded to? Mary is primarily interested in the welfare and experience of people using mental health services with a focus on quality and safety and the methods used to explore this. Daisy graduated from Newcastle University with a BSc (Hons) in Psychology in 2016. She then went on to study an MSc in Health Psychology at Northumbria University (2017). Daisy is currently undertaking a PhD with the University of Leeds and Bradford Institute for Health Research funded by THIS Institute. Whilst completing her MSc degree, Daisy worked as a Psychological Assistant at a Maggie’s Cancer Care Home in Newcastle. Since graduating, Daisy has worked as a Research Assistant at Manchester University and a Research Project Manager at a company providing a digital solution for the NHS: Digital Diabetes Prevention Programme. Daisy will use bottom-up methodology to better understand what procedures, practices and interventions do not contribute towards patient safety in the NHS. The research will initially focus on identifying a target ‘low-value’ safety practice before working with healthcare professionals and patients to develop a behaviour change intervention to stop the embedded practice from being carried out. Daisy is interested in the use of psychological theory to develop behaviour change interventions that improve health. She is also interested in improving patient safety through qualitative research methods.